Looking for dinner ideas for tonight? How about stir fry? You probably already have almost everything you need to make some variation of this meal. 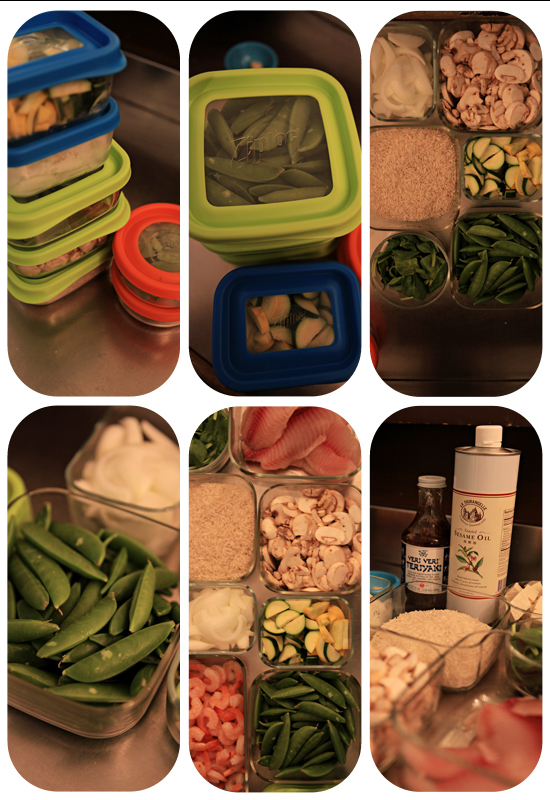 I love finding ideas for dinners to make that are super easy. Fall is so busy for our family and even though we’ve taken some steps to make this year a little calmer than last fall, we are still in need of meals that can be thrown together in under half an hour. 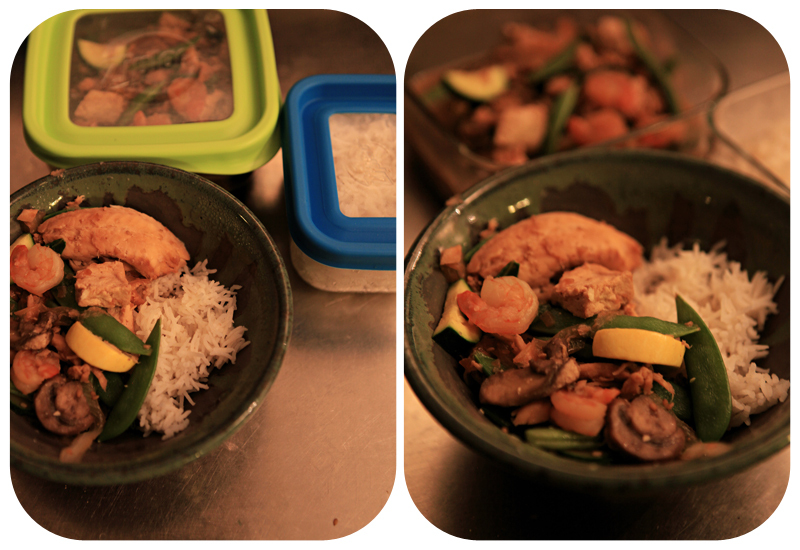 Stir fry is absolutely, hands down, one of the easiest things I make for dinner on a regular basis. I use a bottled sauce and sesame oil to get a consistent flavor that my kids love. I always use tofu as a filler and as a great soy protein source. All the other ingredients vary with the seasons. I can usually make stir fry with whatever I have on hand, so this easy dinner idea can be tweaked to suit your family’s tastes and vegetable supply. In an extra large cast iron skillet, cook onions and garlic for about 2 minutes in 1 tablespoon hot, toasted sesame oil on medium high heat. Add mushrooms. Cook 3 minutes more. Scoot onions and mushrooms to the side of the skillet and add fish pieces. 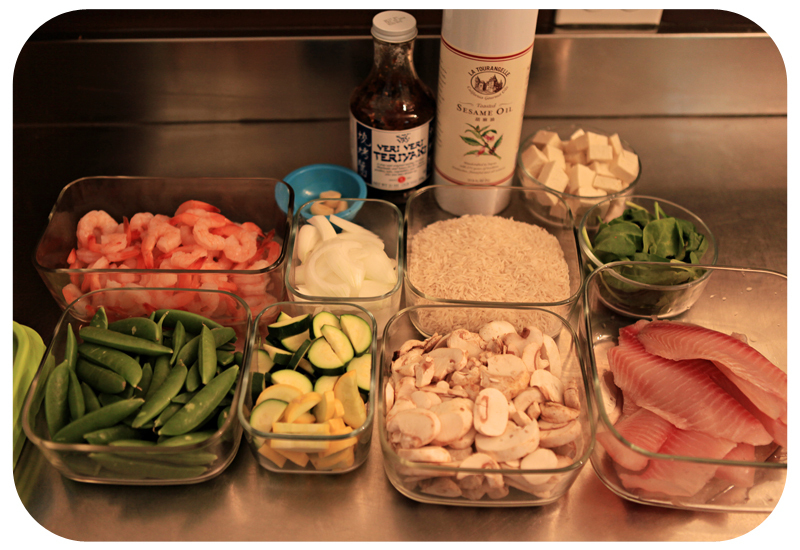 Brown the fish on each side (2 minutes) and then add 1 cup of your preferred stir fry sauce. I use Soy Vay Very, Very Teriyaki, but Newman’s Own sesame ginger dressing will work in a pinch. Add tofu, sugar snap peas, zucchini pieces, squash pieces and shrimp. Cook for 3-6 more minutes. I like my veggies to still have a little crunch, so I just let my shrimp and tofu heat through before removing the skillet from the heat and serving immediately with rice. Variations: You can use any green vegetables for stir fry: broccoli, green beans, sugar snap peas, spinach leaves, kale or bok choy. You can also throw a red pepper in with the onion. I make this meal every couple of weeks at the Chino House, so varying the vegetables up a bit keeps it from getting old.